Racing on dirty oval tracks can be traced back to the start of the 20th century and it’s said that a race in South Africa in 1907 was the start of it all, for bikes at least. 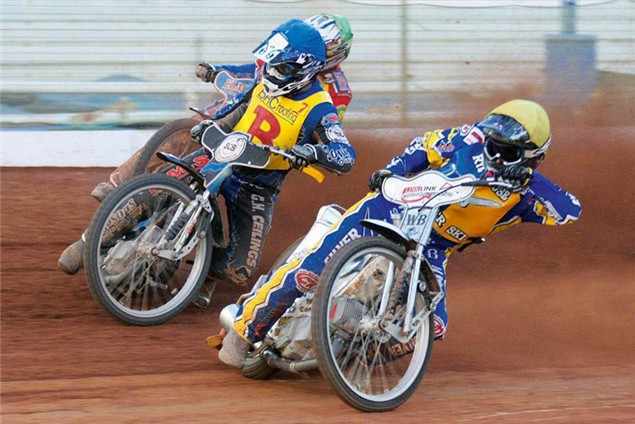 But the first recorded motorcycle speedway (or dirt track) event, where prize money was on offer, was in 1923 in West Maitland, Australia when Johnnie Hoskins organised the first truly professional event. This led to the first rules, regulations and the trademark sideways sliding action. 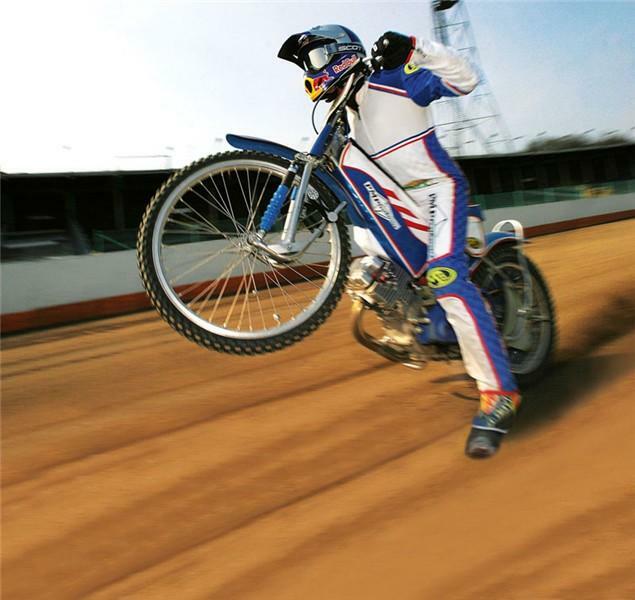 Visit norfolkarena.co.uk or call (0800) 112 3220 for info on the speedway school at Kings Lynn where £195 gets you a full sweaty day of training. Or you may want to break into the sport by trying the CCM flat track school first, which teaches you on purpose-built CCM FT35s for around £199 for a day. See shorttrackuk.com for more or call (01204) 544940. There are tracks and race fixtures every month, up and down the country, for the Elite, Premier and Conference leagues. Check british-speedway.co.uk for your nearest event. Wear old clothes, it’s dirty. Wembley stadium, 1981: an American by the name of Bruce Penhall was fast becoming one of the sports legends. In front of a 90,000 strong crowd, Penhall bogged down on the start line and had all the work to do. In a breathtaking demonstration of skill, speed and determination, he worked his way from the back to finally take the win. He went on to become a household name in the States and co-starred in the TV show ChiPs, alongside Poncherello. Four times world champ, six times British League champ and 2nd in the BBC Sports Personality of the Year in 1964 and 1966. You’ll see mad men on high-compression single-cylinders powering down short straights before throwing their bike on its ear and sliding at impossible lean angles around each end of the track. It’s a spectators’ dream as you don’t miss a thing due to the relatively small track and stadium viewing. The atmosphere, and noise, is second to none, especially during floodlit night-time races at Kings Lynn and Scunthorpe. Blue groove – the ideal line around the track where the dirt has worn down to the concrete or hard-pack causing the rear to hook up faster. This is a good thing. Looping – flipping bike on start line after dumping the clutch. Bad thing. Rabbit – rubbish rider in a team to help average the points and keep the teams consistent season on season. Part of the complicated rules. 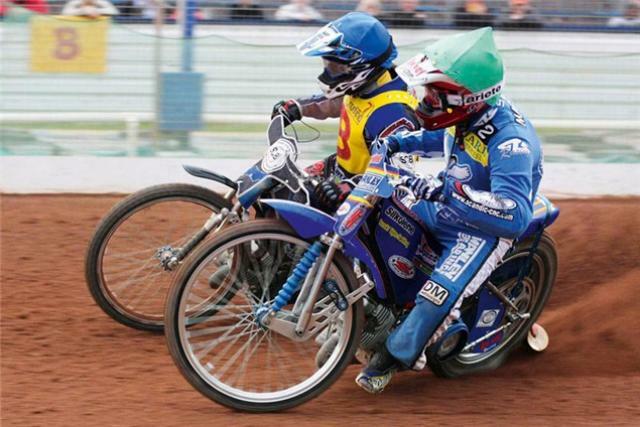 Pusher – No, there’s no drugs in speedway but no kick starts either, so tracks employ men to push start the bikes before a race.